More gloves. You will not believe the last one. 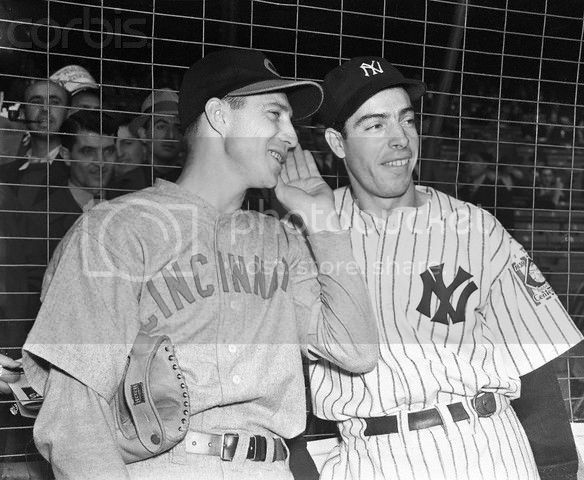 Went looking for Hal Chase photos and came across the last card photo (not Chase) apparently taken with a borrowed glove ! I've got lots of questions about the second to last one. Check out the buckle straps. Is that a D&M label or maybe a black Spalding or Reach? the baseball card is pretty goofy. 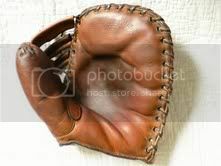 The Hal Chase mitt you pointed out is a big one. When I see the riveted wrist strap I think Reach/Spalding. 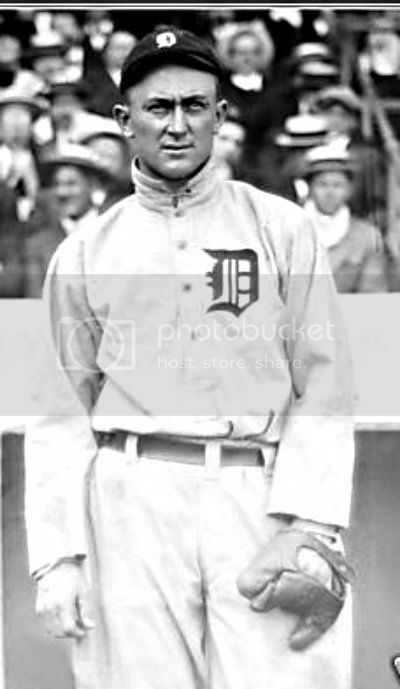 Here's another Ty Cobb photo. 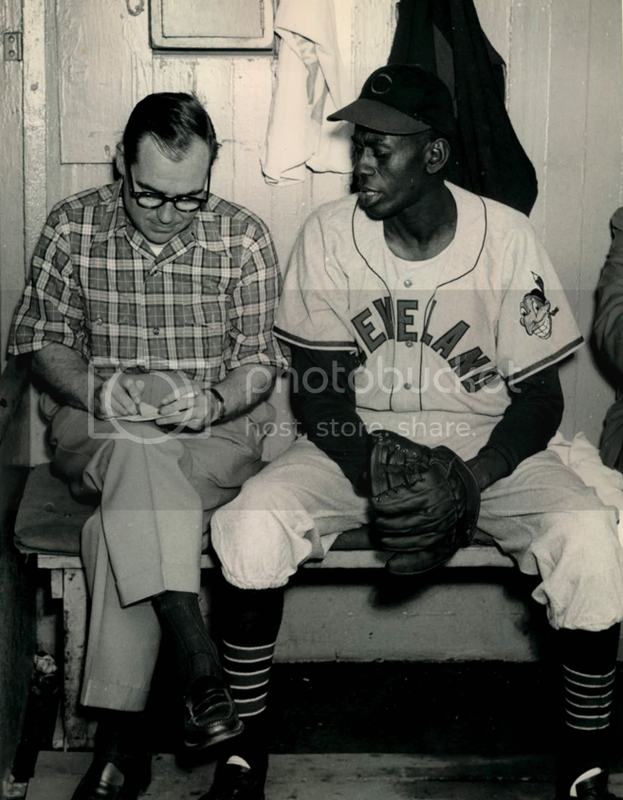 Bucky Walters with a Hutch. 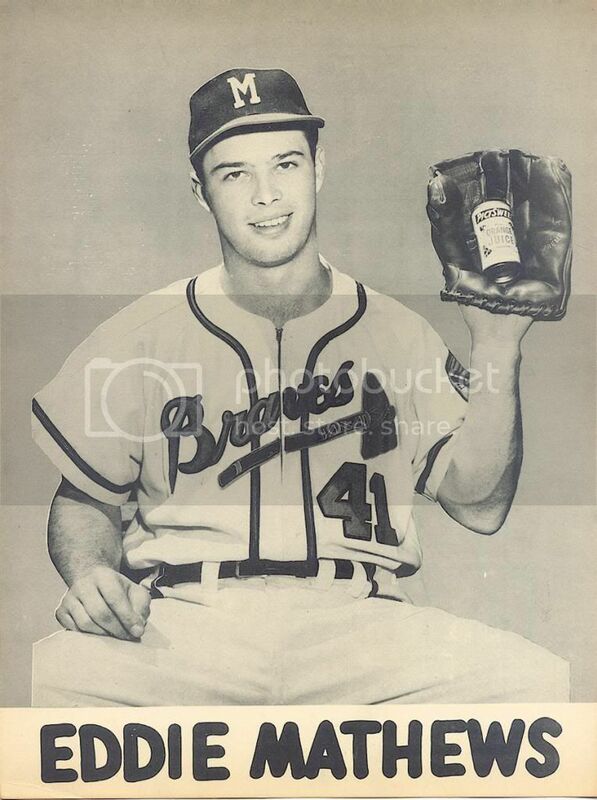 Eddie Mathews with a Playmaker Supreme in 1953. 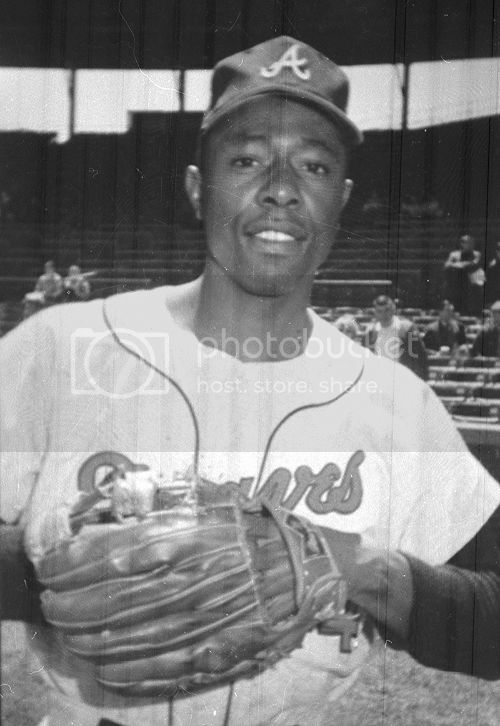 Satchel Paige with a triple tunnel web in 1948. I always think Wilson when I see that web. Here's a cool one of Walter Johnson wearing a King Patent. this one is different! Thought it was a two finger model at first, but it may be a three finger model with the middle finger tucked under. His hand just swims in that glove. 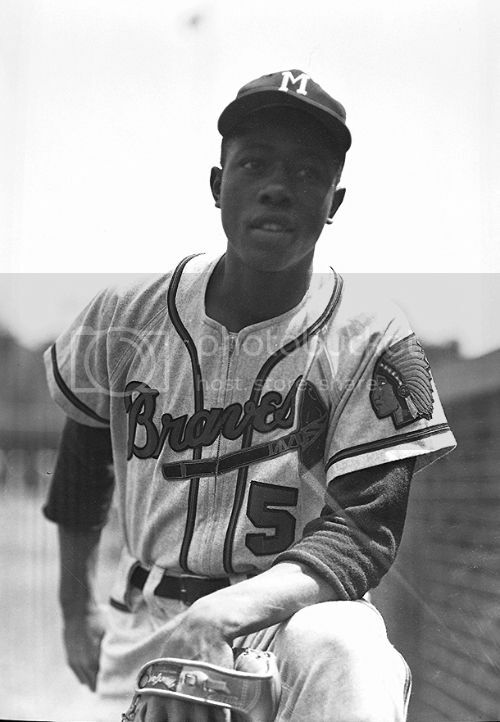 Hank Aaron with his reverse button MacGregor glove circa 1955. Greenberg's snare web is something. It almost looks like the ball could slip thought it. 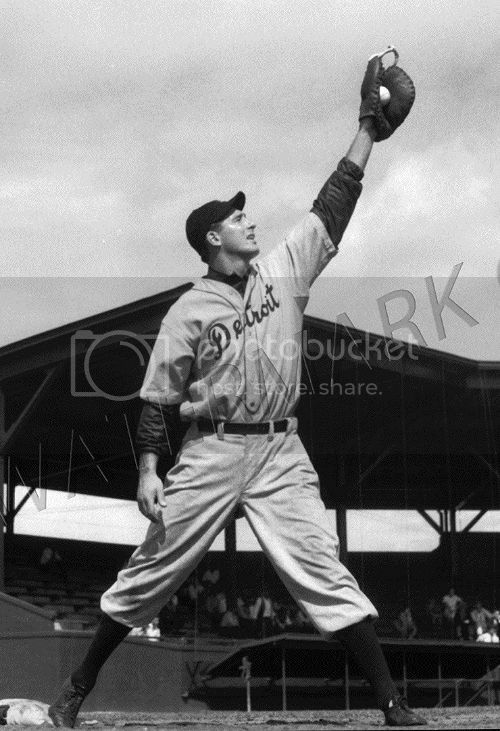 It seems that if he had to make a quick play to another base, such as across the diamond to third, it would be tough to get the ball out of the web quickly. 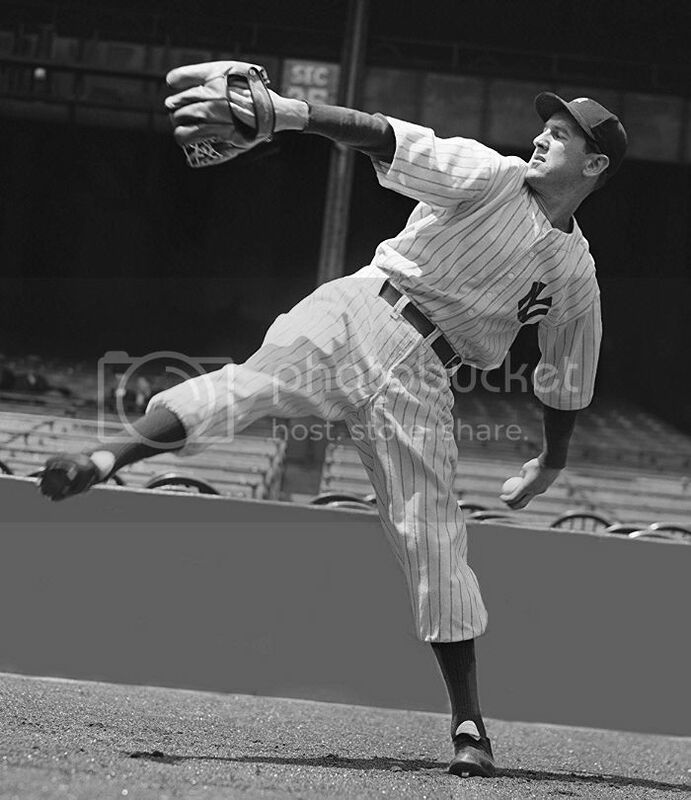 Nice photo of Lefty Gomez. He's using a triple tunnel web Wilson glove marked with "It's a Wilson" on the wrist strap. Gomez discarded the triple tunnels in favor of a loose lace trap style web. Notice that he is another player to leave the first finger stall empty and double up the pinky finger stall. 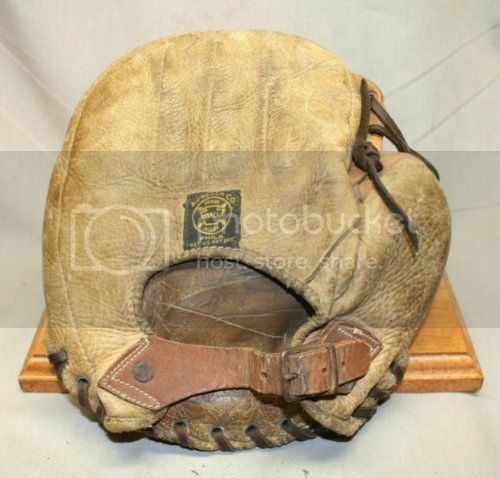 Phil Rizzuto's rookie season game glove was auctioned off a number of years ago. He is purported to have used only one glove the rest of his career. 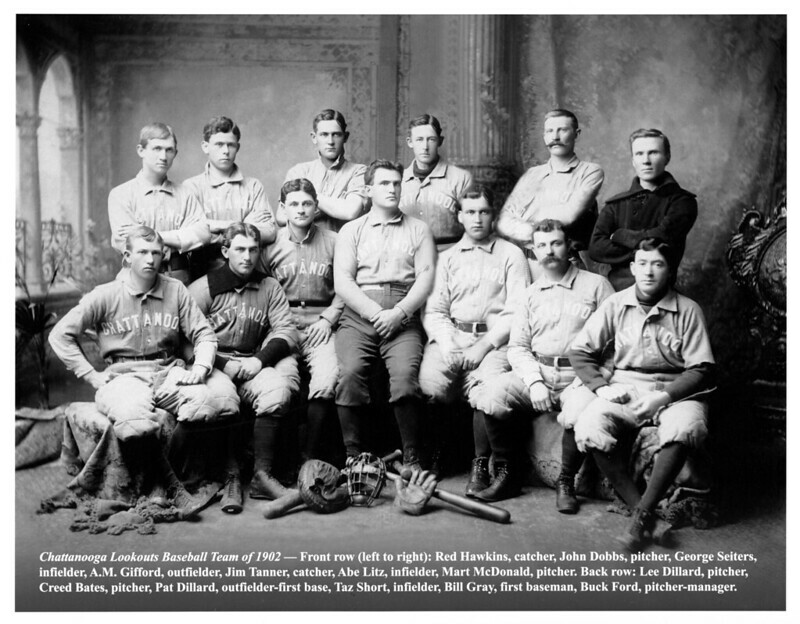 The photo below is from Cooperstown. It is a Rawlings model. 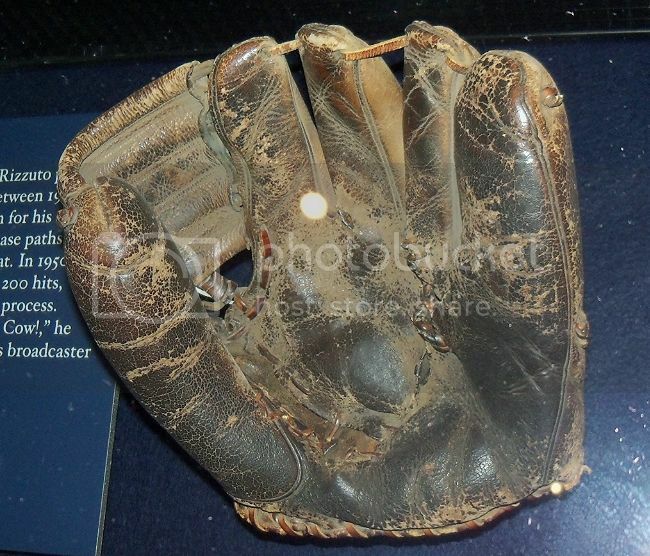 The camera flash flattened out most of the detail of the glove. 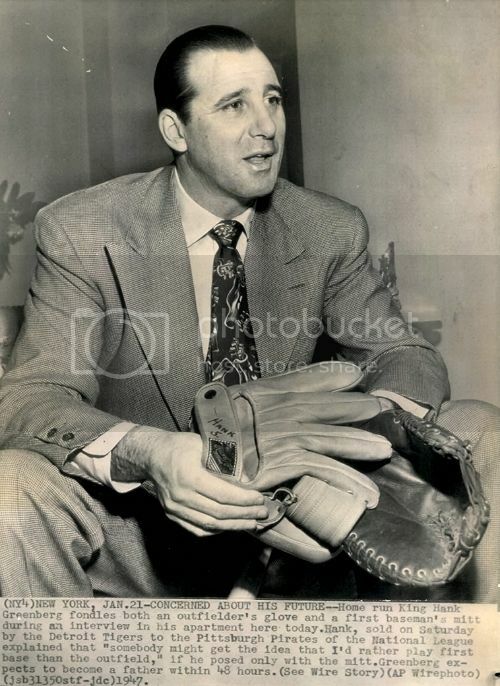 The photo below is from the private archives of a long time Rawlings employee in product development. 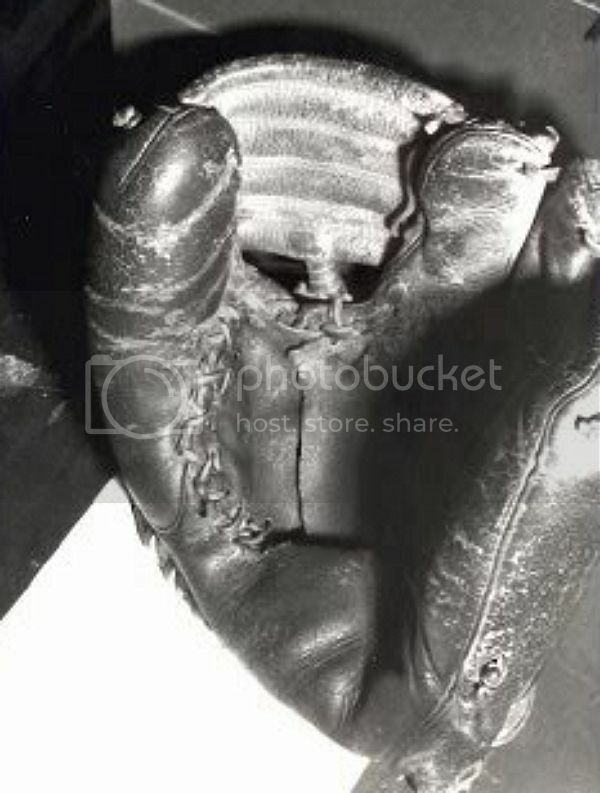 It shows the cooperstown glove photographed in the Yankee clubhouse. Every year Rawlings would provide parts and a technician to repair any damage and keep Rizzuto's glove in playing condition. 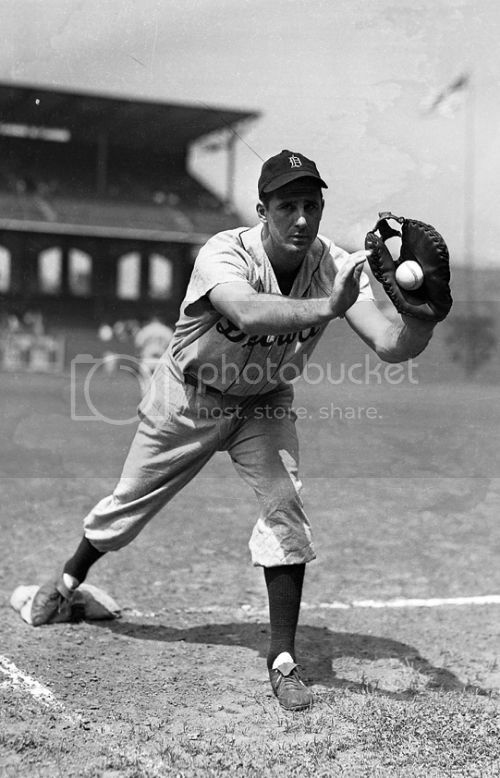 Just commented on Hornsby in the glove of the month section and stumbled upon this great shot of the man and his glove. Nice "three" in action! Was looking at some great old photos of Chattanooga and came upon this.. The glove is great. 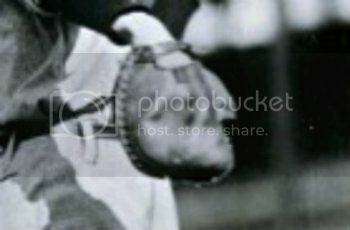 I like the hook and grommets with the metal pull ring on the back of the catchers mitt. Yeah.. I wonder where that glove is today. It was flawless then. I'd love to see the other side of that mitt too and those bats a bit better. 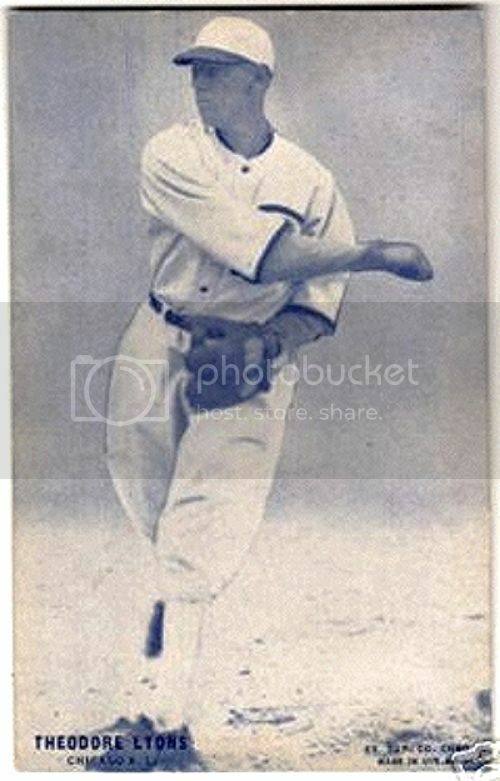 Just found this photo of Rube Walberg this morning. Nice one!